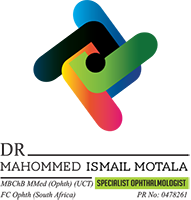 Pterygium removal surgery eliminates the abnormal tissue from the cornea and sclera (white of the eye). 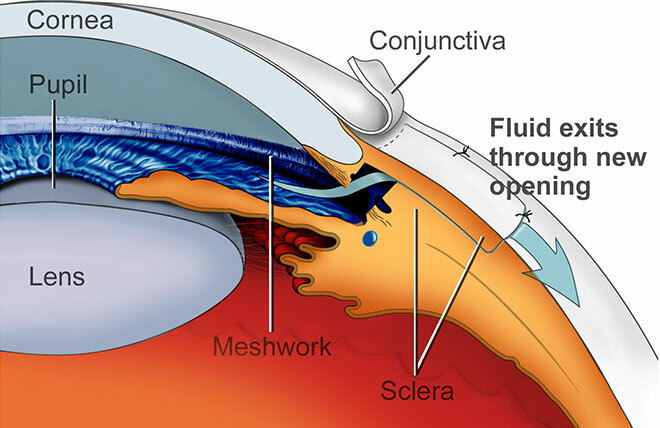 The older, standard surgical technique left a bare hole in the conjunctiva (the surface of the eye) where the pterygium was removed. Unfortunately, this led to a high rate of pterygium regrowth. 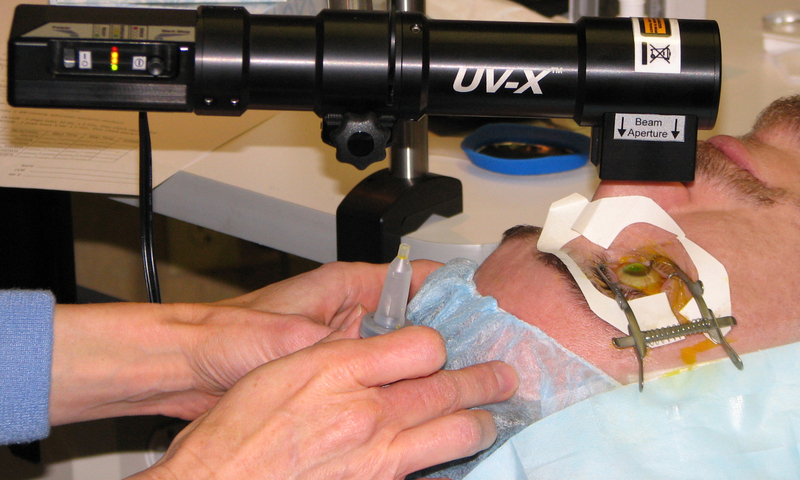 A newer technique fills the gap in the conjunctiva left by the removal of the pterygium with a graft of tissue removed from under the eyelid. This graft is then stitched in place. 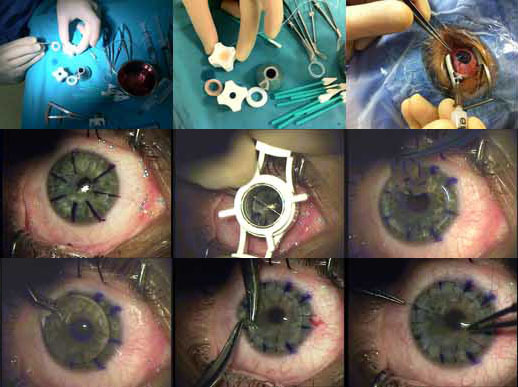 A downside of this approach is that the stitches can cause discomfort while the eye heals. This healing period can last for weeks. The latest advance in ptergyium removal surgery does away with the stitches altogether. The “no-stitch” autograft surgery (the tissue is an “autograft” because you donate it to yourself) uses a special kind of surgical glue made of clotting proteins found in human blood. There’s little discomfort, the rate or recurrence is low, and patients are usually back to work within two days of surgery. Advances have also been made in the treatment of recurrent, aggressive ptergyia. To improve the results of surgery, Dr. Sandy T. Feldman administers medication during the procedure. This adjuvant medical therapy reduces the growth of the abnormal cells. 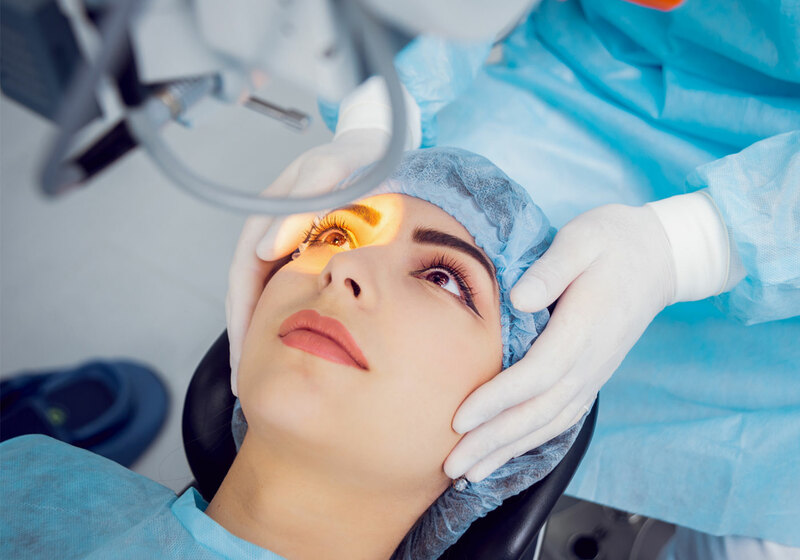 Additionally, if a lot of scar tissue prevents normal tissue even under the eyelid (the site where the graft is typically harvested), amniotic membrane grafts can be used instead of your own tissue. These techniques allow for successful removal and a reduction of recurrence rates in almost everyone! The surgery is a very quick procedure lasting less than half an hour. You’ll be lightly sedated to ensure that you’re relaxed and comfortable. Your eye will be completely numbed and although you’ll be aware of your surroundings, you won’t be able to see. The surgery consists of removing the pterygium and replacing it with a graft of tissue, which is glued into place. There are no sutures and the procedure is completely painless. Because of the medications you’ve received, you won’t be able to drive yourself home. You might be slightly groggy from the sedation but you will be given some medications for discomfort, should you have any. Your eye will heal rapidly. You’ll be able to return to work in about two days. After the first week, the adhesive used to secure your graft is no longer necessary and it will dissolve. Over the next two to four weeks, your eye will gradually return to a normal appearance with little or no traces of redness or irritation.